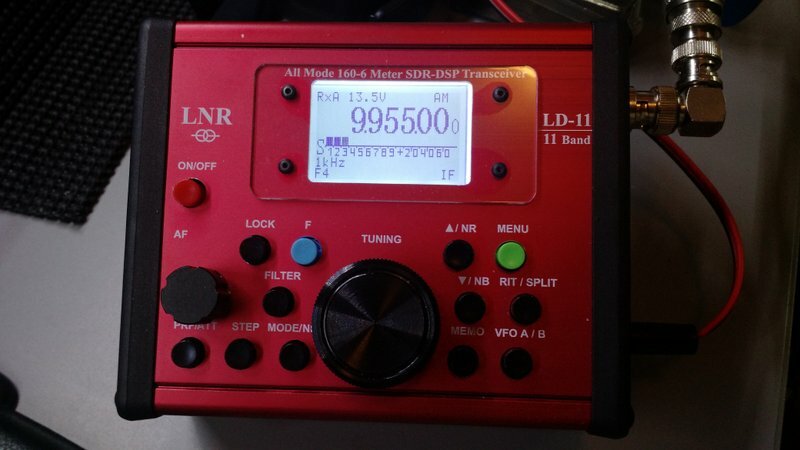 The LD-11 is basically a small, tabletop SDR transceiver. It’s like a miniature, simplified version of the Icom IC-7300 I’ve also been evaluating. 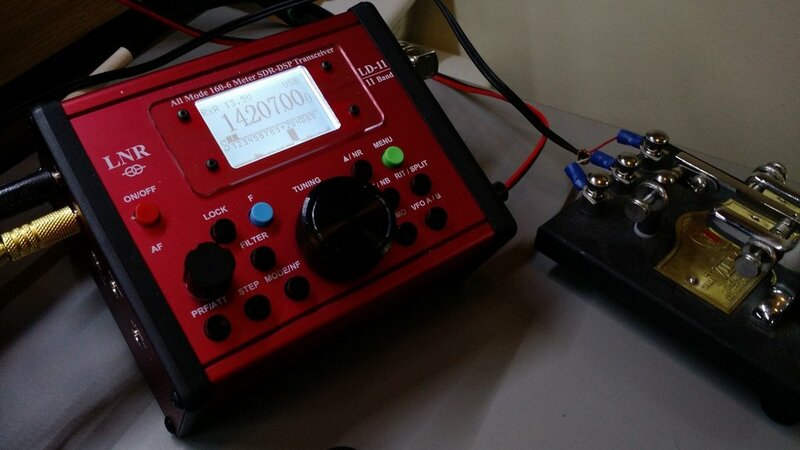 This entry was posted in Ham Radio, How To, Manufacturers, New Products, News, Radios, Shortwave Radio and tagged Amateur Radio, General Coverage Transceivers, Ham Radio, LD-11, LNR Precision, LNR Precision LD-11, New Products, QRP, Transceivers on May 1, 2016 by Thomas. An HW-8 was $129 in 1977. In today’s dollars, that is $490 for a 4-band, single mode, 2 watt TX, with direct conversion RX transceiver and a LOT of compromises (not to say they are not fun to operate, regardless). For those that want a full HF multi-mode SDR that is assembled and has capabilities that were unavailable in ANY radio made in 1977 at less than the cost of an HW-8, dream on. Hams are notoriously cheap but at half that price, you can buy a single band analog SSB transceiver and power supply from MFJ, so there are your options. Get real. I like it but the price is way too high for me. I’d pay half that but not more. Looks sweet. Does this tranceiver have a voice guide option for screen-free operation? I’d love to play with something like this but bet none of them have speech output (frequency And keypress announcement). Next one will have, And more. What is/are the receive bandwidth(s) on SSB? How does skirt selectivity compare with other similarly priced transceivers (not that i’d understand the spec…)? Is transmit bandwidth fixed, or can transmit bandwidth be widened for ESSB? I wanted one of these – bad – until I saw the price! Whiskey Tango Foxtrot!!! 775 bucks? Obviously there’s a market for it. I am one of the creation group. Just software (firmware) cost is over 40000usd. BOM is having 700+ components. Other hardware is about 120usd/pp. Price is features defined, always! I want this radio and in the red color! From what I’ve seen and heard so far there is nothing not to like. Takes me back 1981 when I bought my first QRP transceiver, the TenTec Argonaut. Indeed this is a great time to be a radio hobbyist with all the new SDR technology becoming mainstream. And the LD-11 seems a lot less complicated than some of the high end Japanese radios with tons of keypads and knobs. My spending finger is getty itchy hi hi. I agree, Mario! Seems like all of my other radios are a variant of black. It’s kind of nice to have a red chassis–looks great on the table, too. You couldn’t be more correct about the advent of the SDR. It has made some pretty amazing features and performance accessible to most every ham. The prices also keep getting lower and lower. Over the course of the next few weeks, I’ll be comparing the LD-11 to my KX3. One of my favorite features on the LD-11 is the panadapter/spectrum display. It’s very basic, but quite useful to have in the field! Thanks for comments, I am happy to see some acceptance. Cost us lot of sleepless nights and nerves. I will be pleased to talk to you outside this site. How does it sit on the table? Does it have a stand or do you have to prop it up on some books? I like the fact that they labeled the controls and located the tuning knob directly below the display. It has two legs that fold out from the bottom of the unit–they prop the radio up for a proper operating angle. Of course, it can also sit flat, too, as it has small rubber/silicon pads on the bottom. The layout of the buttons is quite well thought through. I wish the encoder had a finger dimple, but that can be fixed easily enough! OMG. I want one and I want it now please. It is obviously the future in SDR transceivers yet to come. If the price can be kept down by mass production them I think many people will buy one, just for the ‘fun factor’, if nothing else. It has an “administration mode”. Contact the factory before using general coverage radio !! It does not look like a radio. One of the pleasures of QRP is the use of simple equipment. Perhaps it is my age but this machine is not in keeping with what I would regard as being QRP, or any radio for that matter ! This is actually a pretty simple purpose-built piece of QRP kit. The first day I used it, I worked the Czech Republic, Hungary, Spain, and Bermuda with 5 watts in SSB! All from here on the east coast of the US. I’m with you: I *love* simple QRP rigs, but it is awfully nice to have small, lightweight, multi-purpose modern rigs as well. I reckon I’m a bit radio geek and okay with the full spectrum of QRP radios! I use QRP at 5 watts, the lowest my FT991 will go. I do have an FT817 on order, waiting for another delivery to the UK. My FT817 arrived last week and the menus were very easy to set up. There is no need to enter the hidden menus. The article you link to is pointless, for example, “believed to be”, if they do not know then why publish such rubbish ? 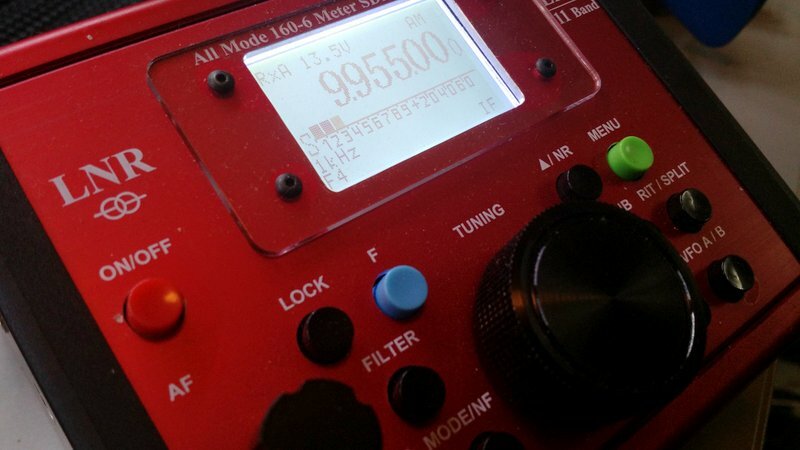 I am delighted with the FT817 receiver, it makes you wonder why any more is needed….